Fighting for Ireland? 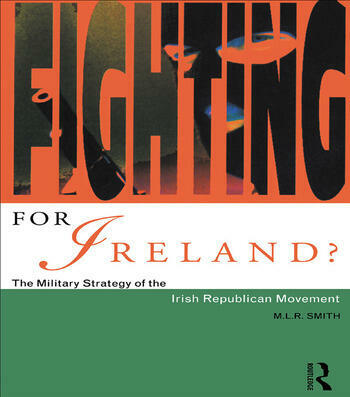 is the first in-depth account of the evolution of Irish Republican strategy. It is highly topical in the light of the faltering peace process and the growing speculation over the IRA's next move: further violence or a new non-violent strategy? This new, updated paperback edition is essential reading for those who wish to disentangle the complex issues and motives behind IRA violence. M.L.R. Smith challenges many assumptions about the IRA, pinpointing the organisation's successes as well as its missed opportunities. He demonstrates the tension the movement has experienced between ideology and strategic reality regarding the use of force, illustrating how doctrinal purity has sometimes hampered the IRA in the pursuit of its goals. Contrary to the Irish Republican movement's vigorous and assertive public face Smith uncovers an organisation characterised more by a sense of chronic insecurity than by certainty and continuity.